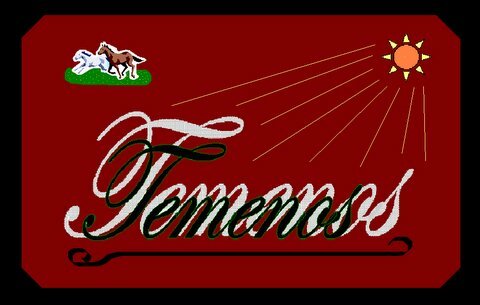 Welcome to Temenos Horse Rescue. A place where the scars of the past can be healed and frightened and abused horses can learn to trust again. 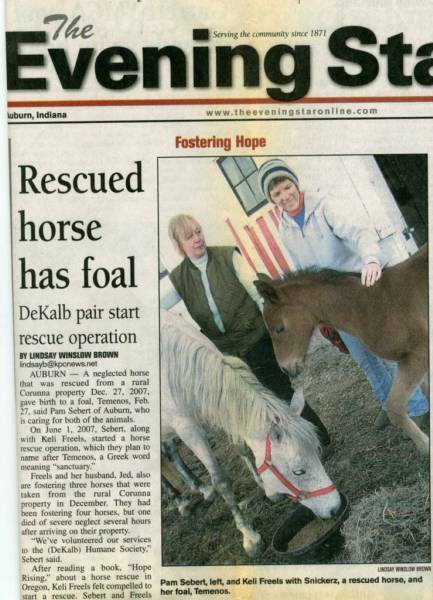 Temenos Horse Rescue, is located in DeKalb County in Northern Indiana. Founded in 2007 by Jed and Keli Freels and Don and Pam Sebert. After being involved in the horse industry for over three decades, we found a need in 2007 to provide sanctuary for horses in trouble. The healthy birth from one of the rescued horses given sanctuary in 2007, gave the little colt his name, 'Temenos', and ours 'Temenos Horse Rescue'. Because, Temenos means sanctuary in Greek. We continue to provide a temporary sanctuary for horses confiscated under due process. We assist and educate equine owners or potential owners when requested. And we lobby for improved laws and local procedures relative to animal neglect.